A group led by U.S. real estate investor Hines plans to sell a Dublin shopping mall and adjacent land for about 600 million euros ($660 million), three people with knowledge of the matter said. 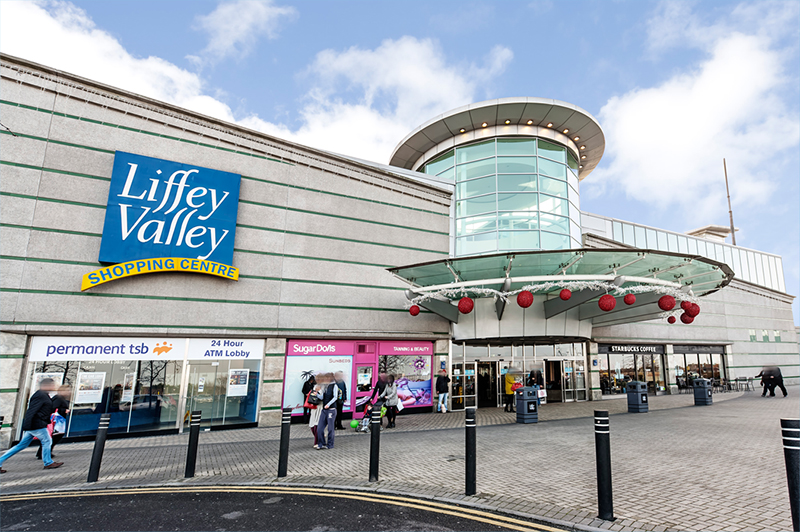 The venture, including the Grosvenor Group Ltd. and HSBC Alternative Investments, hired Eastdil Secured LLC to broker the sale of Liffey Valley Shopping Centre in the west of the city, the people said, asking not to be identified because the information is private. An executive at Eastdil and a spokeswoman for the venture declined to comment. Grosvenor, owned by the Duke of Westminster’s family trusts, was one of the original developers of the mall. The HSBC unit and Houston-based Hines bought a 73 percent stake in the property from Aviva Investors for 250 million euros in 2014, the Irish Times reported at the time. International investors are vying to buy up Dublin shopping malls as they seek to tap into one of the fastest-growing economies in Europe. Blackstone purchased The Blanchardstown Centre for about 950 million euros this year and a venture between Hammerson Plc and Allianz SE bought the Dundrum Town Center and the Pavilions malls.